First half with Torino at very good levels with a rediscovered Karsdrop on the right flank. 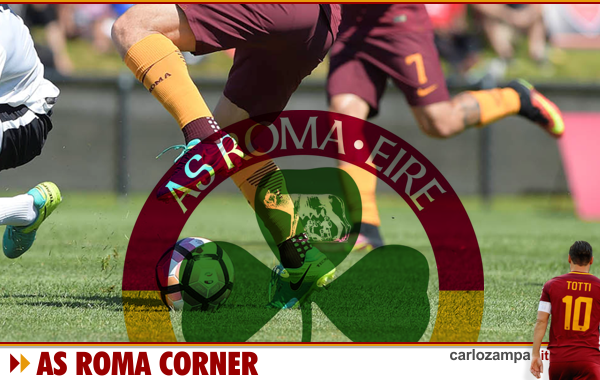 The usual amnesia incidents remain after the double advantage gained, the only flaw of this Roma team yet clear improved under many points of view. A problem that persists that of not being able to finish off when the opponent is on the ground. “Killing the opponent when he is about to die” as the Juventus coach Allegri said metaphorically a few days ago. In short, finish off the match prematurely to have a certain tranquillity. 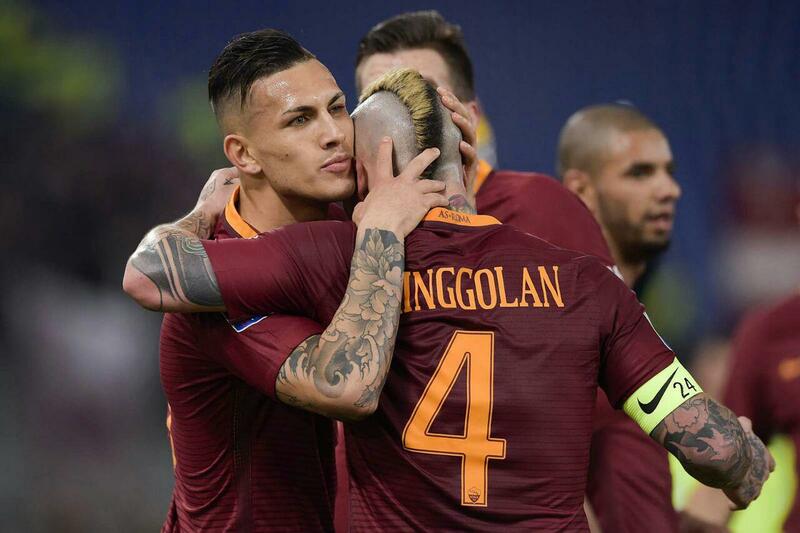 But a good reaction came after Torino equalised 2-2, with El Sharaawy putting Roma ahead again. Three key points, given the results of Lazio and Inter. Finally, things start to turn in the right direction, positive results and good play. We had said it. Roma will recover. It is the Roma of young wonders. From Zaniolo to Lo. & Lu. Pellegrini, via Under, Kluivert, Cristante and Riccardi. A young and very strong team in perspective, if the club could keep them all. It would be a shame indeed, but we believe that at least one player will leave, and that will be Cengiz Under. But Zaniolo’s position is the one that most to worry. In only a few games he showed he has everything to be a great player. Roma will extend the contract and put a buyout clause, but when the likes of Real Madrid, Barcelona or Manchester with knock on Trigoria’s doors with stratospheric offers, can the club resist? That said, we have discovered a young team with enormous potential, but in order to win we need a right mix, with players of experience and charisma. The Roma seen recently can aspire to good heights. A strong central defender to support Manolas – and not in his place -. Atalanta’s Mancini would be great in perspective, but it also we need one of experience. In midfield a player like Barella would be ideal, much more dynamic than Nzonzi. But if there were no conditions in January, Roma must still sign players in those sectors. Now we try to recover the form of certain players like Dzeko and the rest of the injured like Captain De Rossi. Next match in Bergamo against a strong Atalanta team on form. We need to show character and resilience at Stadio Azzurri D’Italia. Winning there would be a real coup. Very difficult yes, but let’s go there without fear. This Roma will not be up to Juve and Napoli standards but can play with all the others. Third place included. Forza Roma! The trend remains the same. Roma cannot play with same intensity and concentration for 90min. If before it was a good first half and a sloppy second, last night the trend went the opposite way. Torino started brighter and created problems for Alisson, once again, once again just superb! The brazilian keeper will be snapped up by a big club for big bucks in the summer unless Roma decide to grow up as a club, give him the captain armband and make him our keeper for the next 10 years, like Buffon at Juve. Alisson is a phenomenon, now worth at least 70 million. Ederson was paid 40 million by Man City and he’s Alisson’s reserve in the Brazil team that will go to the World Cup in Russia. So, Roma holds a spectacular goalkeeper and he’s been decisive in every match. Last night he did the same keeping Roma alive in the first half, saving dangerous shots from Iago Falque and co. The Roma movement was very sloppy, predictable and lacked creativity. All the expectations about Schick vanished quickly, the youngster was left upfront alone without any assistance by El Sharaawy and co. Cengiz Under tried to do his bit but the whole team did not pick up on anything. So, a very poor first half by Roma reversed in the second half, with Radja playing closer to the Torino goal. Nothing exceptional but at least we saw better movement in the middle of the park, and chances created. Manolas header, De Rossi and Pellegrini to finish the job later. All in the name of the late Davide Astori, with the players and the whole stadium feeling quite emotional. Ups: Alisson, Manolas, De Rossi, Florenzi and Pellegrini. Downs: Schick, El Sharaawy. Completely out of the picture last night. Radja does not impress either in our opinion, he could do much more. As Mr. EDF pointed, Schick must keep on working and he will eventually deliver, as Cengiz showed. But he must show real commitment and belief, the fact that Dzeko stayed in the end is not so good from his side of things, probably he was promised a prime role with the bosnian departing, now we need to find out if his heart and commitment are still here or he’s already questioning his future. The bottom line is that he’s a young player with potential but has not done anything so far in Serie A, look at Paulo Dybala, paid €40M same as Schick, he sat on the bench with Allegri for more than six months in his first year. That’s what it takes to become a great player in a great team! Next: Shakhtar on Tuesday. Champions League. We enter the fight to go to the QF, the Last Eight. Dzeko and Fazio are back. All we need is real fighting spirit, just give everything to make it happen. We will be there, in the Stadium. Looking for magic! DAJE ROMA! La Roma di Eusebio Di Francesco ospita allo stadio Olimpico il Torino di Walter Mazzarri per la ventottesima giornata di Serie A. I giallorossi sono terzi in classifica con 53 punti, mentre i granata occupano la nona posizione con 36 punti. L’incontro del venerdì sera viene diretto dall’arbitro Fabio Maresca della sezione di Napoli. LA ROMA – I giallorossi arrivano alla sfida contro il Torino dopo il successo per 4-2 al San Paolo con il Napoli. Mister Di Francesco, che deve fare i conti con le assenze degli squalificati Fazio e Dzeko, si affida al 4-3-3. Probabile turno di riposo per De Rossi, si prepara Pellegrini. 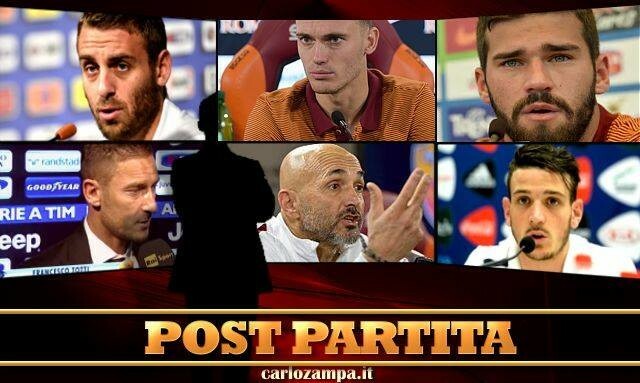 Davanti sono sicuri del posto Under e Schick, con Perotti ed El Shaarawy in ballottaggio. Probabile formazione (4-3-3): 1 Alisson; 24 Florenzi, 44 Manolas, 5 Jesus, 11 Kolarov; 4 Nainggolan, 6 Strootman, 7 Pellegrini; 17 Under, 14 Schick, 8 Perotti. A disp. 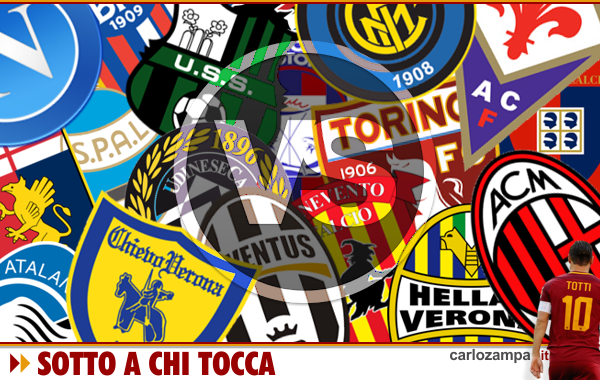 : 28 Skorupski, 18 Lobont, 13 Capradossi, 25 Peres, 33 Silva, 30 Gerson, 21 Gonalons, 16 De Rossi, 92 El Shaarawy, 48 Antonucci. IL TORINO – La squadra granata si presenta al match contro la Roma dopo il nell’ultimo turno di campionato. Il tecnico Mazzarri punta sul 4-3-3 per mettere in difficoltà i giallorossi. In attacco spazio al tridente formato dall’ex romanista Iaqo Falque, Belotti e Niang. Probabile formazione (4-3-3): 39 Sirigu; 29 De Silvestri, 33 N’Koulou, 24 Moretti, 15 Ansaldi; 6 Acquah, 88 Rincon, 8 Baselli; 14 Iago Falque, 9 Belotti, 11 Niang. A disp. : 32 Milikovic-Savic, 1 Ichazo, 23 Barreca, Buongiorno 87, Rivoira 50 21 Berenguer, 5 Valdifiori, 20 Edera, Butic 51. INDISPONIBILI: 22 Obi (risentimento muscolare coscia sinistra), 10 Ljajic (problema muscolare), 4 Bonifazi (lesione al quadricipite), 97 Lyanco (Trauma contusivo/distorsivo al piede), 3 Molinaro (frattura del perone). Di Francesco thought even Team B could qualify Roma for the next round, but reality showed a different outcome. Too many changes at the back did not pay off. A complete new defense backline with Jesus and Moreno in the centre, Peres and Emerson on the wings, but they did not impress, especially in the first half. In the midfield and forward things went sligtly better, with EL Sharaawy very active and unlucky not to score, lethal was that incredible strike to hit the crossbar..Schick worked ahard but did not shine even as a centreforward, and Cengiz on the wing did not sting. Gerson, Gonalons and Strootman looked overwhelmed by the Torino counterparts in the midlle of the park, things were not going to improve unless something changed. An in fact, the second half was quite different with Perotti, Pellegrini and Dzeko on, but the Bosnian missed a crucial penalty that could take Roma back on track. Why did Perotti not take that is a mystery. Roma had several opportunities to score, eventually Roma grabbing one back with Schick’s first goal, but it was too late..The Torino sub-keeper was superb, the brother of Lazio’s midfielder Milinkovic-Savic, of course. So, Roma are knocked out the Italian Cup, pity, a wasted opportunity to win a trophy missing now for 10 years. No time to get low, with the Juve clash only two days away. Head up, we must bounce back, we expect a great performance regardless, hoping for a great Christmas present. Inizia l’avventura della Roma in Coppa Italia. I giallorossi di mister Di Francesco ospitano allo stadio Olimpico il Torino di Sinisa Mihajlovic per gli ottavi della competizione. L’incontro delle 17.30 viene diretto dall’arbitro Giampaolo Calvarese. In caso di passaggio del turno i capitolini dovranno sfidare la vincente di Juventus-Genoa. LA ROMA – I giallorossi arrivano alla gara con il Torino dopo l’1-0 ottenuto in extremis contro il Cagliari nell’ultimo turno di Serie A. Il tecnico Di Francesco punta sul consueto 4-3-3, ma con un po’ di turnover. Tra i pali Skorupski è favorito su Alisson, in difesa spazio a Jesus, Moreno ed Emerson con Manolas, Fazio e Kolarov in panchina. A centrocampo Strootman, Gonalons e Pellegrini. Davanti Schick agisce da prima punta con Under ed El Shaarawy sulle fasce. PROBABILE FORMAZIONE (4-3-3): 28 Skorupski; 25 Peres, 5 Jesus, 15 H.Moreno, 33 Emerson; 6 Strootman, 21 Gonalons, 7 Pellegrini; 17 Ünder, 14 Schick, 92 El Shaarawy. A disp. 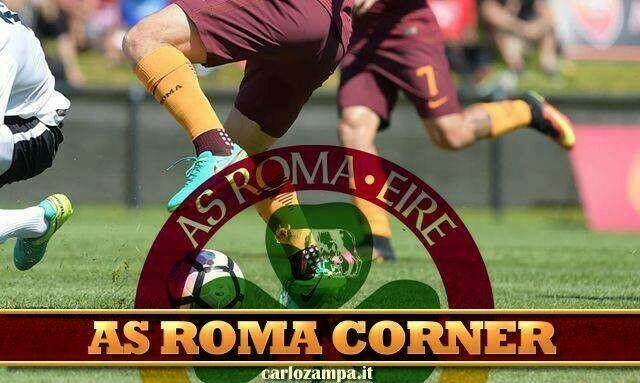 : 1 Alisson, 18 Lobont, 11 Kolarov, 24 Florenzi, 20 Fazio, 44 Manolas, 16 De Rossi, 4 Nainggolan, 9 Dzeko, 30 Gerson, 8 Perotti. IL TORINO – La squadra granata si presenta al match dell’Olimpico dopo la sconfitta in campionato con il Napoli per 3-1. Il tecnico Mihajlovic per battere la Roma si affida al 4-3-3. Non convocato l’ex giallorosso Ljajic per un problema muscolare. In attacco spazio al tridente composto dall’ex Iaqo Falque, Belotti e Niang. PROBABILE FORMAZIONE (4-3-3): 39 Sirigu; 29 De Silvestri, 97 Lyanco, 33 N’Koulou, 3 Molinaro; 8 Baseli, 88 Rincon, 22 Obi; 14 Iaqo Falque, 9 Belotti, 11 Niang. A disp. : 32 Milinkovic-Savic, 24 Moretti, 13 Burdisso, 18 Valdifiori, 6 Acquah, 16 Gustafson, 21 Berenguer, 31 Boye, 20 Edera, 99 Sadiq, 19 De Luca. “Four to Villarreal. Four to Torino. One conceded. Eight goals scored in the last three days. Four by Edin Dzeko, now at 29 goals overall. Dzeko created the opener, then came another from Mohamed Salah and Leandro Paredes. Maxi Lopez pulled one back late, and Radja Nainggolan added a fourth in stoppage time. Roma rolled over Torino, same they did over Villarreal. The game was a little easier though, Torino never gave the impression they were going to do any harm to the Roma backline. Again, Edin Dzeko. He’s having a good time the bosnian, on form like never before, he’s everywhere on the pitch, serving assist, helping the midfield, netting beautiful goals. What else? Like in Villarreal. the other ones rolling the ball high are Radja Nainggolan and Kevin Strootman, Emerson Pamieri a surprise on the left flank, Captain Fazio commanding at the back with Manolas. Mo Salah came back with a great goal, as a reminder he’s the preferred striker alongside Dzeko. Paredes played in place of De Rossi, scored a cracking goal but still does not show the leadership capacity that we expect from him in midfield. The same applies to Bruno Peres. Last night the team showed N.24 on their jersey, to remind Alessandro Florenzi we all are with him. We are sure he will be back stronger. Last but not least, the new Roma Stadium saga. For anyone who has not managed to follow the news, this is becoming a joke. The Stadio della Roma project was presented 5 years ago and the Italian institutions are coming up with more bureaucracy and ridicolous excuses… it was kind of expected, but not really, since the italian economy is collapsing…this is what makes Italian political life an unbearable place to do any business. If the cake is not shared then you get nothing…Italy and Rome are losing again. Last chance”. Tutte le dichiarazioni dei protagonisti di Roma-Torino, match vinto 4-1 dai giallorossi. Luciano Spalletti a Premium Sport: “I giocatori sono stati abbastanza bravi, soprattutto dopo la splendida vittoria in Europa. Siamo entrati molto bene in partita, pressato dal primo minuto ma abbiamo abbassato la guardia dopo il 2-0. Sono convinto che Totti debba rinnovare. Secondo me bisogna rifare il contratto a Totti e soprattutto deve essere naturale come è naturale il boato del pubblico quando lui si alza dalla panchina. Viene tutto da se”. “All’inzio abbiamo avuto delle difficoltà. Nel secondo tempo siamo cresciuti. Sul 2-0 ci è mancato il gol, poi loro hanno dilagato. Avevamo tante assenze, soprattutto in difesa, sulla sconfitta non c’è nulla da dire.Noi abbiamo fatto il possibile”. “La squadra ha creato le sue palle gol, ma la Roma è forte. Sapevamo che qua era difficile fare risultato, perché loro hanno sempre vinto. Ci sono state comunque alcune cose positive, Lukic ha fatto bene e guardiamo alla prossima partita”. “Hart non ha fatto una parata, ma loro hanno fatto 3 gol da fuori area. potevamo coprirli in quelle situazioni, ma bisogna fare i complimenti agli avversari”. Avete tirato i remi in barca a un certo punto? “E’ strano che il Torino batta la Roma, non il contrario. La Roma, rispetto all’andata è più compatta e a noi fuori casa ci mancano dei punti, non riusciamo sempre a fare bene. Comunque le occasioni ce le hanno concesse, abbiamo avuto un po’ di sfortuna nell’ultimo passaggio. Ma loro hanno più qualità e sui gol non potevamo fare niente. Guardiamo alle prossime partite”. 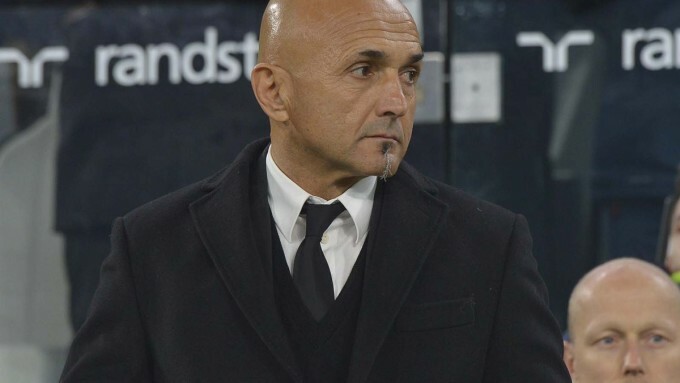 Luciano Spalletti riapre il caso Totti, ma stavolta a favore del Capitano. Il tecnico toscano si è infatti mostrato stizzito su una domanda di un cronista che gli chiedeva se migliorare i propri giocatori equivalga a vincere uno scudetto. TOTTI NON BASTA – “Loro sono convinti di sapere molte cose, io devo dare un po’ d’ordine. Il problema qui è che abbiamo perso fiducia per un paio di elementi, mentre bisognava far crescere il gruppo. Con Totti solo non si vince, noi siamo abituati a lui ma da solo non si vince. Per me deve rifare il contratto, non è mai stato un problema, c’entra anche Totti, ma devono crescere altri calciatori, bisogna averne 17-18 in questo mese qui, sennò andiamo fuori da tutte le competizioni. Se ne abbiamo solo 11 non si arriva da nessuna parte. La soluzione Totti non è quella giusta, bisogna averne 18 di Totti“. L’ATTACCO ALLA STAMPA – “D’Ubaldo domani ci fa 7-8 pagine, Totti deve fare il contratto perché non deve smettere, io me ne andrei così anche se vinco. Se faccio il triplete non rimango magari. Il boato del pubblico quando lui si scalda è tutto naturale, è un patto d’amore. Con la gente io ho un bellissimo patto, son tornato con loro. Voi giornalisti non mi state simpatici, io sono chiarissimo in questo. C’è da giocare queste competizioni importanti, la rosa si prende la responsabilità, avevano già carattere, io ho fatto solo il mio lavoro”.